The sub-assembly solution provides many benefits in the production of the final product. The number of inventory components for the OEM is condensed as well as the workload on the Sourcing team. Logistics is simpler, eliminating the freight costs typically seen for the individual components. Planning for production becomes easier with only one component to schedule. And the labor involved is reduced since the sub-assembly can be installed directly into the system, eliminating the additional steps and costs if the OEM had maintained ownership of the sub-assembly. 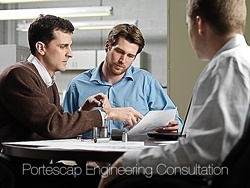 Portescap is well-positioned to assist you with the development and implementation of your motion sub-assembly. With global manufacturing and a strong supply chain, we ensure that your solution is cost-effective with the highest quality.